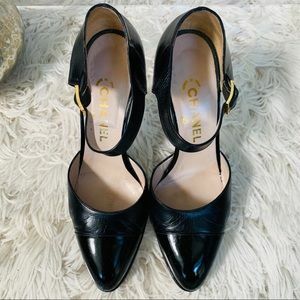 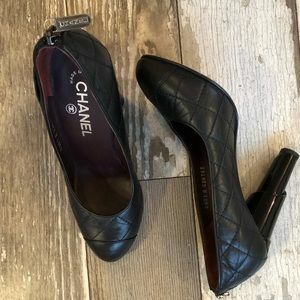 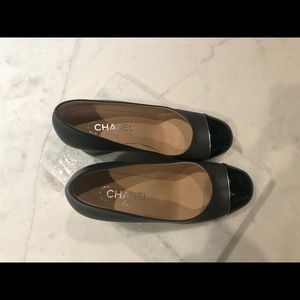 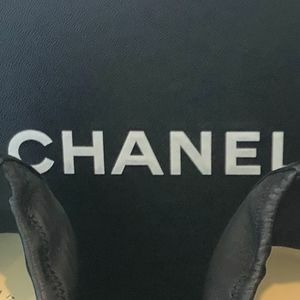 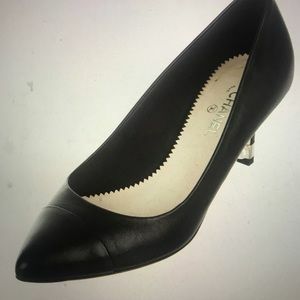 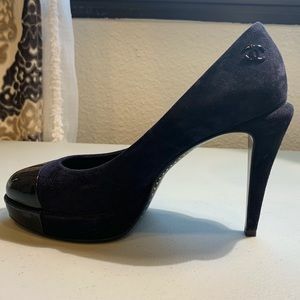 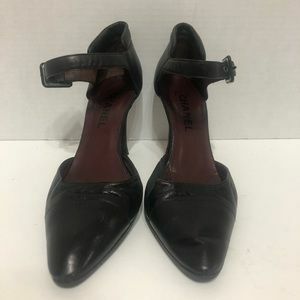 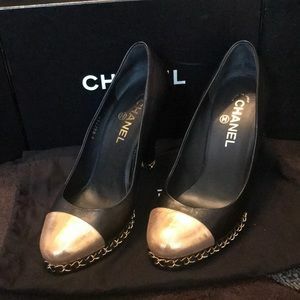 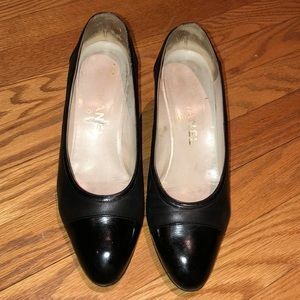 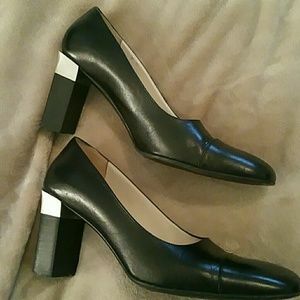 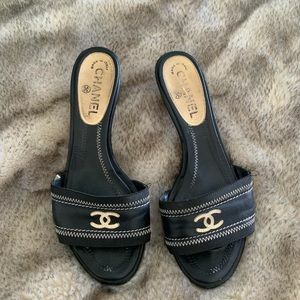 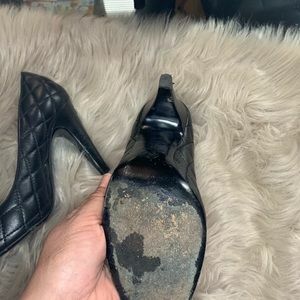 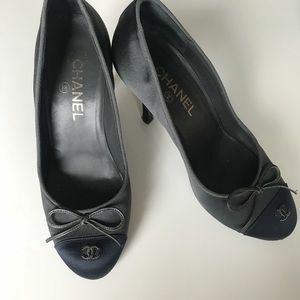 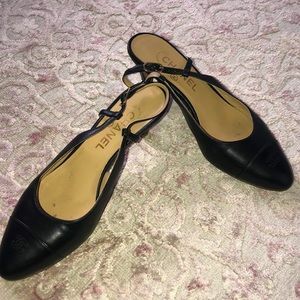 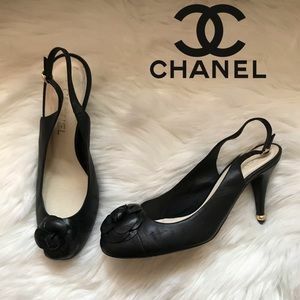 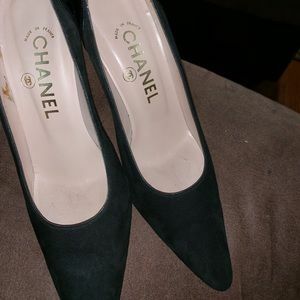 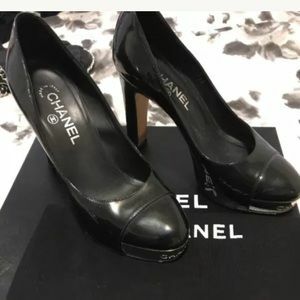 Black Authentic Alligator Chanel pumps. 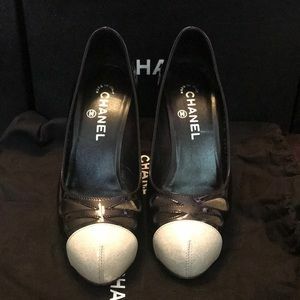 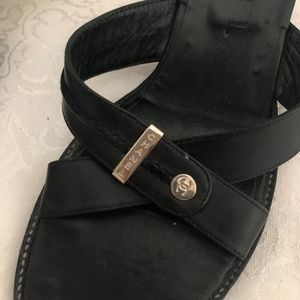 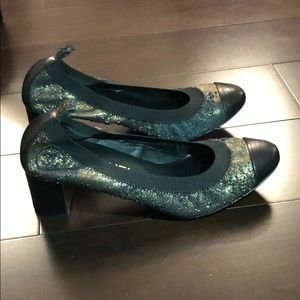 Size 38. 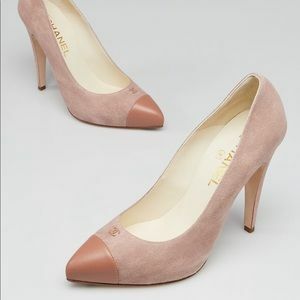 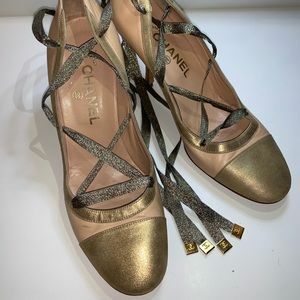 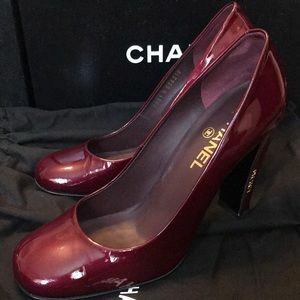 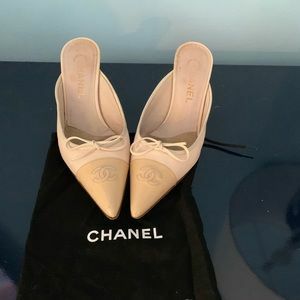 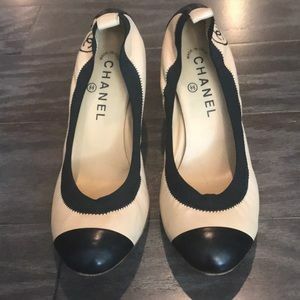 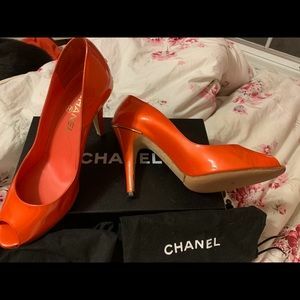 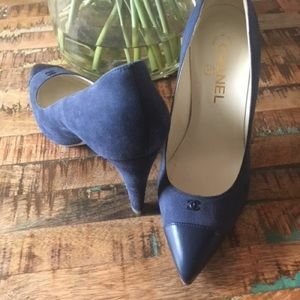 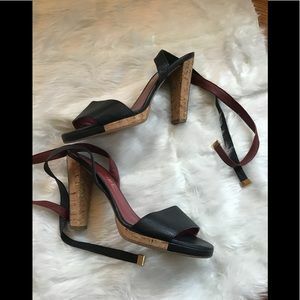 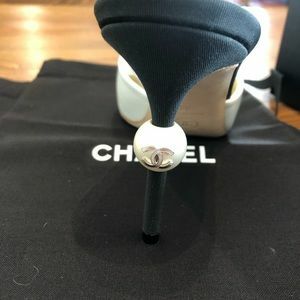 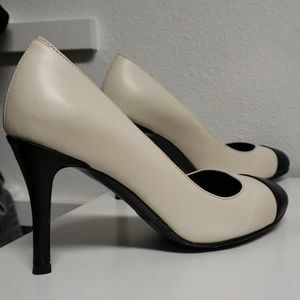 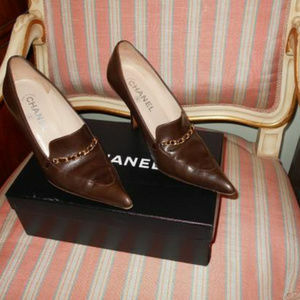 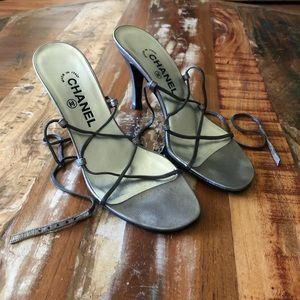 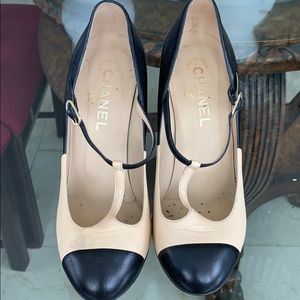 Chanel Pointy two tone heels.